Kneeling L to R Mark Tate, Terry Riggans, Frank Barry, Wes Tate, Cordell Riggans, Phillip Sparks. 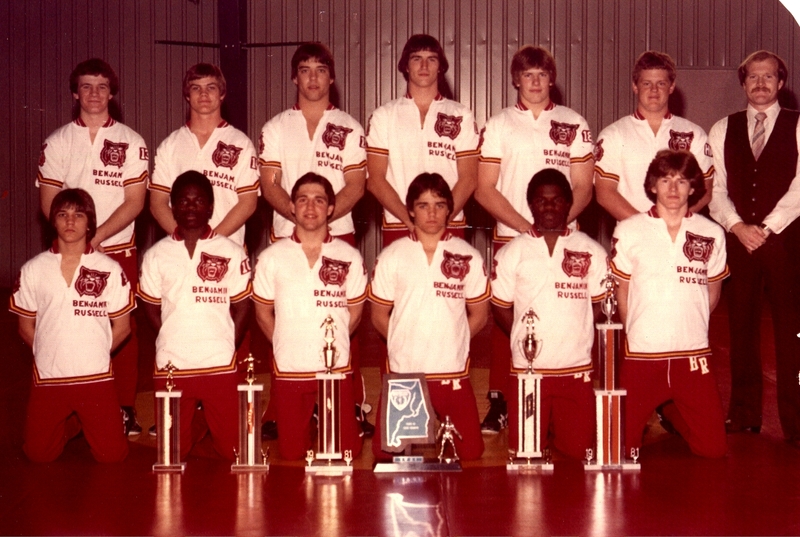 Standing L to R Bo Bierley, Pat McGill, Nolan Graves, Dennis Branch, Danny Gaston, Jeff Williams & Coach Buzbee. If you know people who wrestled on these teams but are not listed please email the Webmaster.